I got to thinking about the several hundreds of client transformations that I helped over the years. For almost two decades, I have worked with so many men and women who possess different personalities, body types, emotions, habits, challenges, health issues, physical complications, work schedules and family dynamics that it would seem it would take a different strategy and approach to help each individual for their own personal success… and to some degree that is very true. I have definitely learned a lot over the years that the text books just don’t teach you about addressing difficult challenges and meeting the personal needs of each individual client. And with each person that I have worked with I can tell you a unique story about how they accomplished their strength and fitness goals. But even with my proven track record, there are still some who haven’t yet even begun their strength and fitness journey. I got to thinking about this and then I had my AH-HA moment. I recently discovered that there is ONE THING that separates those who get amazing results from those who don’t even attempt to start. And that one thing, that one common bond that I share with my cliental that has had tremendous success and the one thing that should drive you is Frustration! You actually need to GET ANGRY to Make Results Happen! I know, this isn’t the same speech you’re use to hearing from me with Positive Mindset and such but hear me out on this. It’s only when you are finally feed up with being overweight, out of shape, zero energy, feeling sick, weak, feeling unattractive, , insert your feelings here_______________. Whatever that feeling is that has you down and out and miserable, its only when you finally get angry and say enough is ing enough is when you will actually do something about it and be serious enough to make the changes necessary to reclaim your strength, fitness and health. When you allow yourself to get angry and attack your goals with a vengeance you will find yourself UNSTOPPABLE! Nothing will step in your path of rage as you stare down the limitations you placed on yourself and discover they no longer have a hold on you, that you are in control of your strength, fitness and health and that you do have the will-power and drive to get work done and accomplish your goals. Just like when Bruce Banner has had enough and he transforms into the HULK – He has to GET ANGRY and then he SMASHES everything in his path. Imagine you have that same energy, that same drive, that same passion, that same level of intensity as the Hulk when you GET ANGRY! That anger will be your fuel to use after years and years of frustration and you will break barriers and become the absolute BEST version of yourself. You see, it has been in my personal experience that those who finally say enough are the ones who truly find that inner warrior to Get Work Done and change what they don’t like about themselves. It’s this trigger that sets them off and they break out of the mold that once held them back. In fact, once they start making the transition into the new confident, vibrant, healthy and stronger person they want to be, they never want to experience that old self again. So if you look in the mirror and have any of these adjectives depicting how you feel or how you look at yourself my advice to you today, as in – RIGHT NOW is to get angry and do something about it! No sugar coating, coddling, pat on the back, its gonna be ok softness here – GET ANGRY and GET TO WORK! If you desire to be more, to do more then you need to know that the time is now. 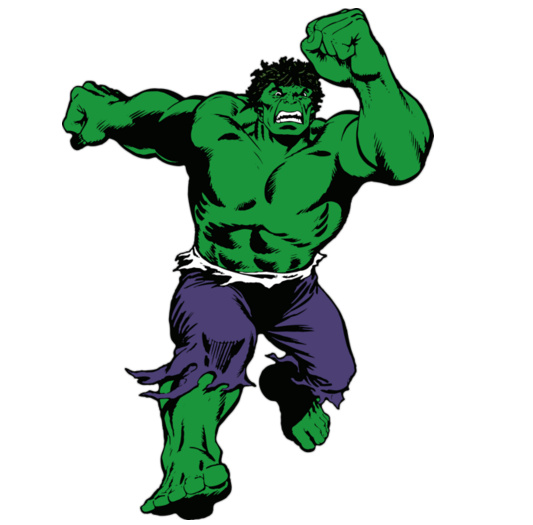 HULK OUT – GET MAD and DO SOMETHING RIGHT NOW! THERE WILL NEVER BE A PERFECT TIMING! You think you’re busy now? I guarantee your life will continue to be busy and become busier as time marches on. You must make the commitment and the time to yourself. We all have the SAME 24 hours in the day and life is not going to slow down – I guarantee it. If you’re angry enough you’re going to do something about it today. If you’re ok and not frustrated with the way you are, you will make excuses and remain the same. If you need help with any of this, hit me up… Simply send me a text 804-274-8315 with “I’m ready to HULK OUT!” and we’ll explore different options finding one that will work for you.